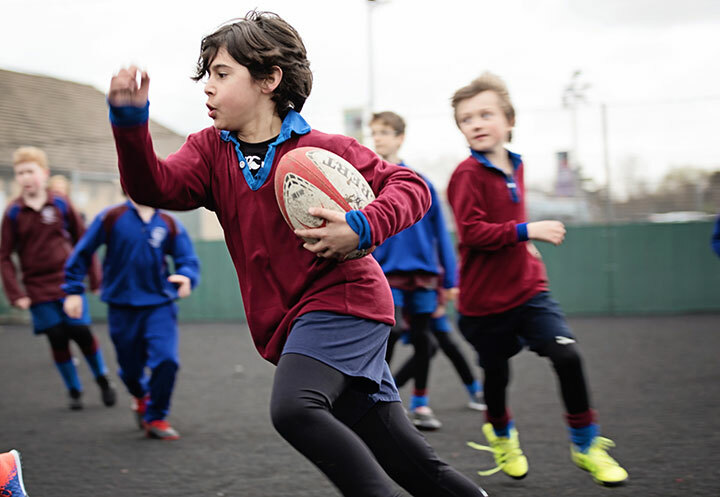 Sport and games are a full part of the curriculum throughout the School, providing vital opportunities for boys to develop their own skills and those of teamwork and co-operation. Games sessions also provide an outlet for the boys' energy and enthusiasm. Every boy from the age of seven has two afternoons of sport at the Playing Fields, in addition to P.E. at the School during the week. At the appropriate times of the year, boys' main games will include football, rugby, cricket, athletics, running, and some tennis during the summer. Lyndhurst House has an extensive fixture list of matches with other Schools, at different age and ability levels, to give a very wide spectrum of boys the opportunity to play for their School. There are also internal competitions by House and for each year-group. P.E. lessons are held either in the Gym, or on the Playground. These provide opportunity for physical exercise, for skills-training in the main sports, and in games boys may encounter at their Senior Schools. Inter-School fixtures are almost all on normal games days, but there are occasional weekend tournaments for certain School teams. The School holds separate Sports Days for the Pre-Prep and for the rest of the School (Years Three to Eight) in the Summer Term, which Lyndhurst families enthusiastically attend.